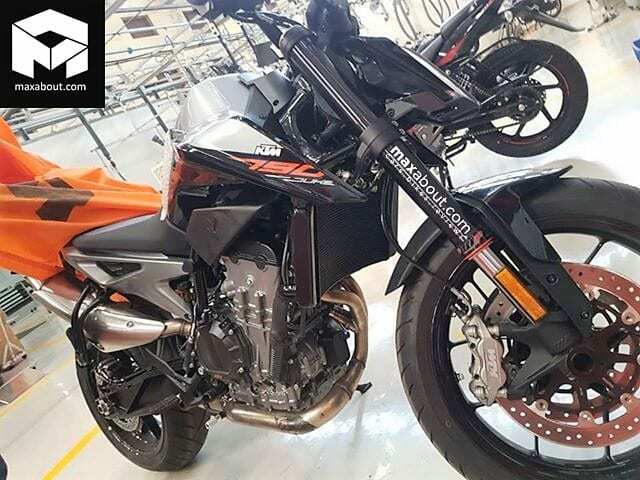 KTM Duke 790 has been spotted in India for the first time, probably at its warehouse. The big Duke is expected to debut in India by March 2019. 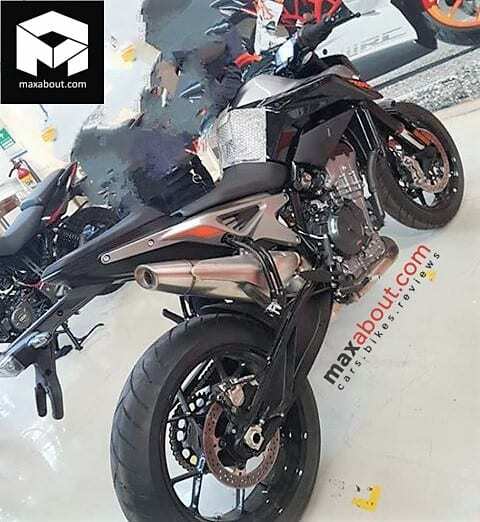 KTM Duke 790 was earlier speculated to launch in India along with Duke 125 in December. A couple of dealers had started accepting booking amounts too. Now, Duke 790 has been spotted in India for the first time, in complete flesh. The premium motorcycle has reached Bajaj’s plant in Chakan, as the photos also indicate the same fact. Currently, the most premium KTM motorcycle in India is the Duke 390. A more powerful Duke for the Indian masses could be a good thing. If the smallest Duke 125 is considered a monster, imagine what would the KTM Duke 790 feel like. The middle-weight KTM motorcycle will debut India as a CKD unit. The assembly process will be done at KTM’s plant in Pune. From Duke 125 to Duke 390, all these bikes are manufactured in India as well as exported. The KTM Duke 790 in India-spec looks very identical to the global one. It gets the raised exhaust, sharp shroud extensions, sculpted fuel tank and the curved radiator. The robot-faced LED headlamps are also retained. The bike uses a newly developed 799cc twin-cylinder engine that puts out 105 BHP at 9000 RPM and 86 Nm at 8000 RPM. The engine comes mated to a 6-speed gearbox. 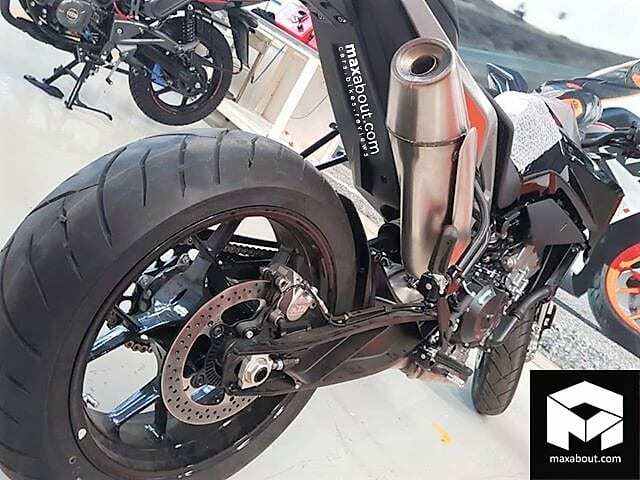 For suspension purposes, Duke 790 uses WP 43mm USD Forks at the front and WP Shock Absorber with preload adjuster at the back. The front suspension gets 140mm of travel and the rear one gets 150mm. It uses a 300mm four-piston fixed caliper disc up front and a 240mm floating calliper disc at the back. A Bosch dual-channel ABS inclusive of the Supermoto mode comes as standard fitment. Features onboard include Track Mode, Motorcycle Traction Control, Quickshifter +, Motor Slip Regulation and the SuperMoto control. It also gets a fully digital TFT dashboard filled with all the neccessary information. The expected pricing of KTM Duke 790 is around Rs 7 Lakhs. Reports say that it will undercut Triumph Triple Street S by around Rs 1.5 Lakhs. It will also compete with Suzuki GSX-750 and Kawasaki Z-900.